The best tailgating innovation since the invention of beer helmet. The art of cooking in the parking lot of a football stadium is a more specific skill than you might think. The pros say it requires quite a bit of advanced planning and work from well before kickoff to hours afterward. It also requires the right equipment. And while there is no lack of small grills and smokers on the market, most of them have some very real shortcomings. Some are too heavy to be easily portable for anyone without pickup truck, some are hard to heat up, some won’t keep the coals burning all pregame long. But the Homping suffers from none of those problems. It may just be the easiest to use portable charcoal grill you can get. At a little over ten pounds, it’s small enough and light enough to toss in whatever car you own—let’s be real, it’s probably small enough and light enough to toss in your bike basket. And because it packs up small enough to fit into a reusable grocery bag, it couldn’t be easier to move. It also heats up faster than standard grills, all while using about ten percent of the charcoal. During a recent weekend grilling session (in the rain no less), the Homping got up to cooking heat in less than ten minutes without the use of lighter fluid or chimney. A small dab of Sterno-like gel and a battery operated fan speed the process, and the efficient design allows about half a cup of charcoal to remain lit and hot in the small coal compartment for close to an hour. The long cook time is nice since it’s only possible to fit about four burgers, half a dozen hot dogs or three ears of corn on the grill at once. But perhaps the biggest advantage I found with the Homping was during cleanup. 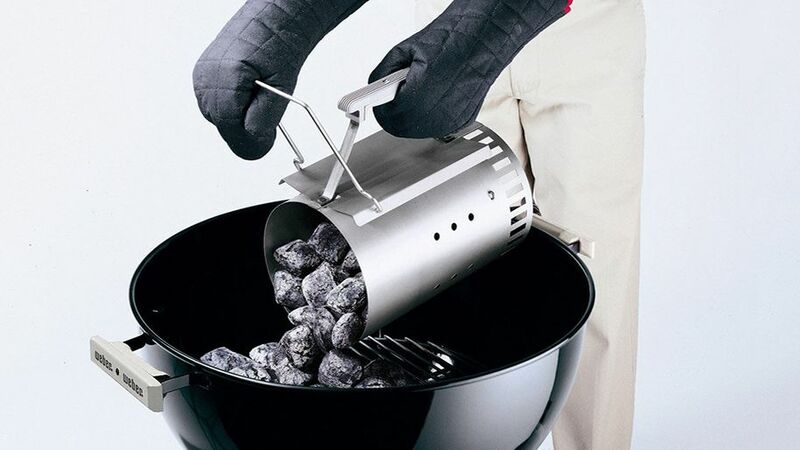 Because the area that holds the charcoal is so small, the grill stays cool enough to move and clean, even before the coals burn out, and disposing of a handful of spent charcoal is certainly easier than figuring out what to do with an entire bagful. The one possible downside is that the grill doesn't come with a lid, but that was an easy problem to solve with a single sheet of foil tenting the food. 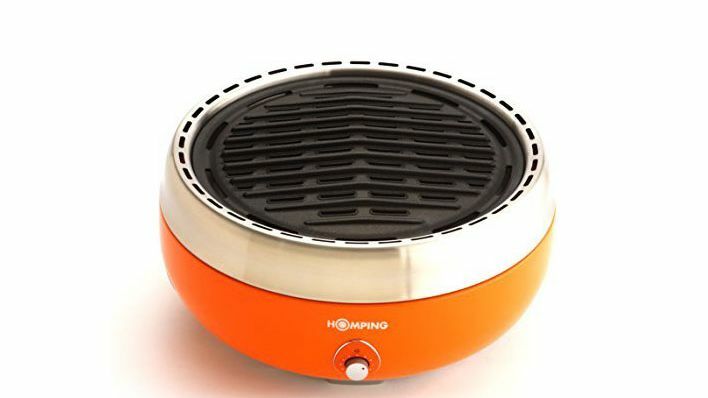 And while it’s a solid tailgating investment, the Homping pulls double duty as an indispensible and durable camping grill. I spoke with someone who strapped it on a sea kayak and paddled between the San Juan Islands cooking with it during a week-long trip. If you're looking for a reliable grill to get you through all your outdoor cooking needs, this is it.